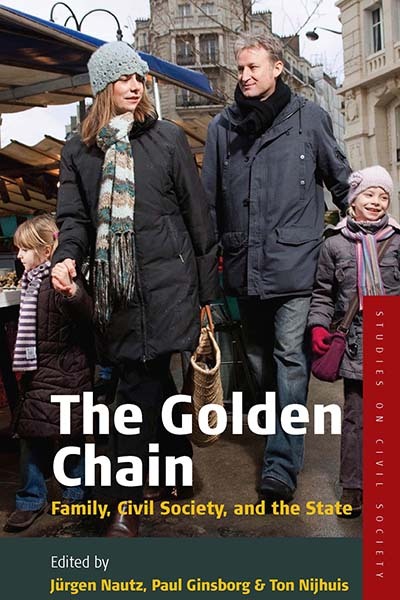 The family can be viewed as one of the links in a “golden chain” connecting individuals, the private sphere, civil society, and the democratic state; as potentially an important source of energy for social activity; and as the primary institution that socializes and diffuses the values and norms that are of fundamental importance for civil society. Yet much of the literature on civil society pays very little attention to the complex relations between civil society and the family. These two spheres constitute a central element in democratic development and culture and form a counterweight to some of the most distressing aspects of modernity, such as the excessive privatization of home life and the unceasing work-and-spend routines. This volume offers historical perspectives on the role of families and their members in the processes of a liberal and democratic civil society, the question of boundaries and intersections of the private and public domains, and the interventions of state institutions. Jürgen Nautz is Professor of Economic History at the University of Vienna and Senior Lecturer of Business Administration at the Ostwestfalen-Lippe University of Applied Sciences. Paul Ginsborg has been Professor of Contemporary European History at the University of Florence since 1992. Ton Nijhuis is the Scientific Director of the Duitsland Instituut in Amsterdam and Professor in German Studies at the University of Amsterdam. In 2009 he received the Alexander von Humboldt Forschungspreis.